A giant Junior Tour of Northern California broom showed up at the annual San Francisco City Championship. 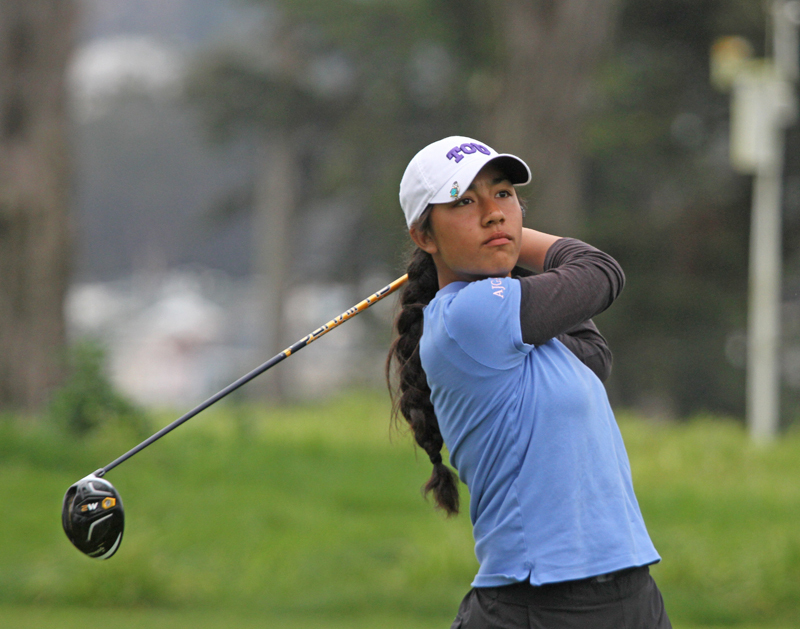 Brian Ma and Sabrina Iqbal, both JTNC members, swept the Men’s and Women’s Championship divisions, respectively, following a long and cold Sunday afternoon at par-72 TPC Harding Park. 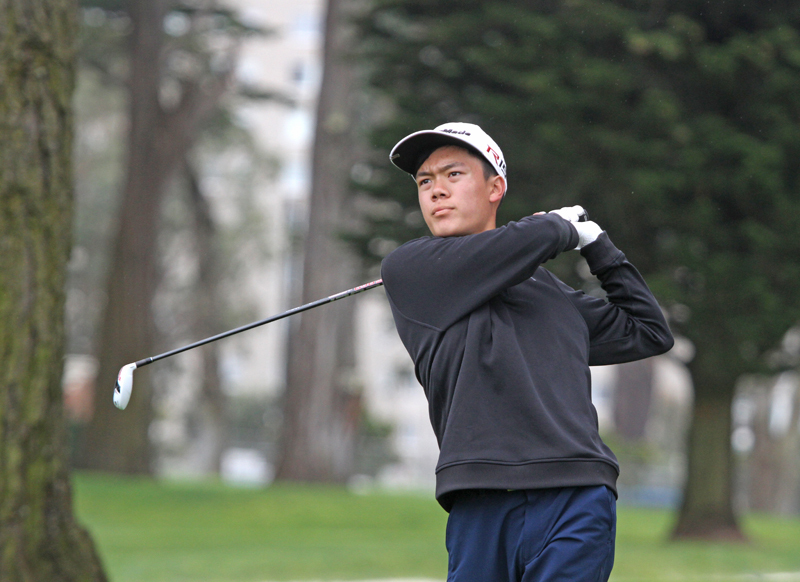 Ma, a 16-year-old sophomore at Archbishop Mitty, became the third youngest champion in the event’s 101-year history, defeating Seb Crookall-Nixon, 1-up, in the 36-hole final. On the 36th hole, Ma deftly got up-and-down for par from off the green. Crookall-Nixon, who was on the green in regulation, left his first putt short and couldn’t convert for par. Ma, who follows Carlos Briones (2009) and Ray Leach (1968) on the youngest champions’ list, appeared to be in good shape after taking a 2-up lead with a par on the 26th hole. A Crookall-Nixon birdie on the 27th and par on the 29th holes, however, knotted things back up. Crookall-Nixon, a 23-year-old recent graduate of University of San Francisco and former junior standout in England, could only lament lost chances while tipping his cap to Ma. Despite his youth, Ma, who joins the likes of George Archer and Ken Venturi as winners of the event, wasn’t just tired from the day. In getting to the title, he’d play six rounds in four days. Iqbal, still just a 15-year-old junior at Pioneer High in San Jose, became the first female back-to-back champion since Casie Cathrea, rolling to a 10 and 9 win over Kiran Sangha. How dominant was the No.1 seeded Iqbal’s run through the brackets? She’d only end up playing the 17th and 18th holes during the qualifying round. “I was looking forward to this. I wanted to go back-to-back,” said Iqbal, who blitzed Sangha by going 5-under—including a stretch of four straight birdies–from holes No.9 through No.18 in the morning portion of the 36-hole finale. The record three-time defending JTNC Girls’ Player of the Year, Iqbal didn’t want to just repeat. She also wanted some more match play experience. The only other match play events she competes in during the year are USGA championship and California Women’s Amateur Championship events. Last year, she’d claim her first CWAC title in her debut in that event. 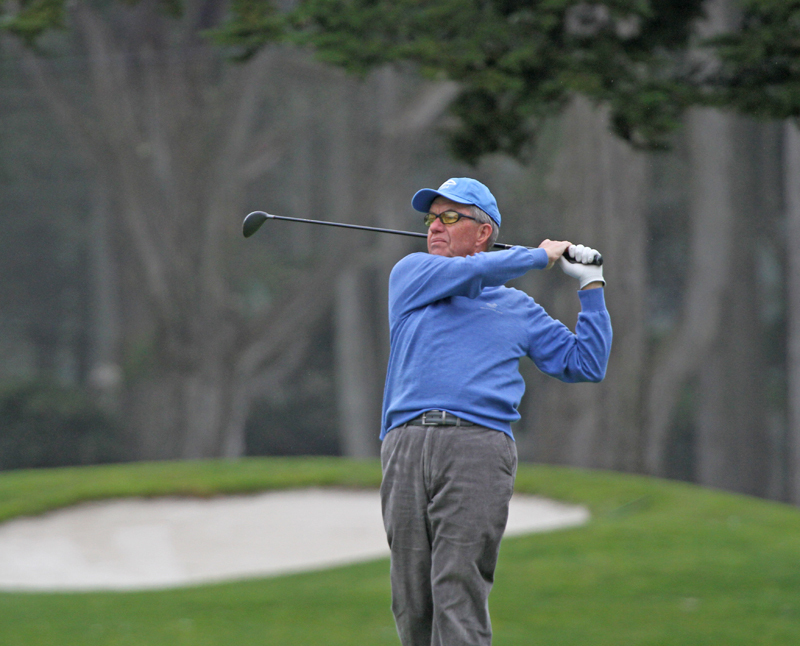 Pleasanton resident Gary Vanier added to his record total of S.F. City Senior titles, nabbing his fourth with a tough 20th hole victory over Rich Rowley. The No.1 seeded Vanier, who also won the event in 2015, 2013 and 2009, held what looked to be a commanding 3-up lead through the 15th hole. The No. 26 seeded Rowley didn’t fold, however, going 2-under on holes No.16-No.18 to bring the match back to all-square. After a halve on the 19th hole, Vanier, the 2016 NCGA Super Senior Player of the Year, finally shook off Rowley with a birdie on the 20th hole (No.2). 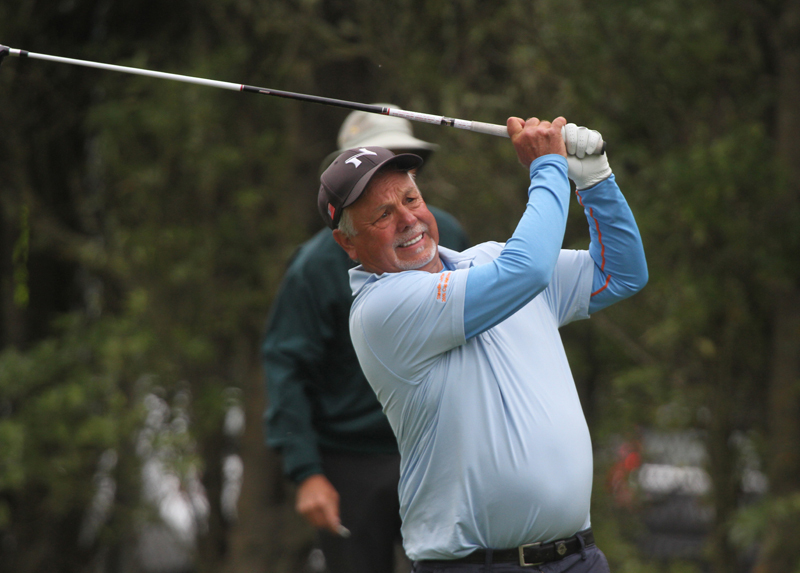 No.8 seed Ron Johnson also had to grind out a victory, defeating No.3 Tom O’Grady on the 19th hole. Johnson, winner of the 2013 NCGA Super Senior Championship, holed out for a two on the 19th hole (par-4 1st) to win.